Samsung's Unpacked events are nothing if not spectacles, and tonight at Radio City Music Hall in New York City the company used the time to introduce its latest flagship smartphone, the Galaxy S4. The S4 succeeds the wildly popular Galaxy S III, and brings with it a litany of new features and tweaks — though at first glance, you might not even notice it's different. 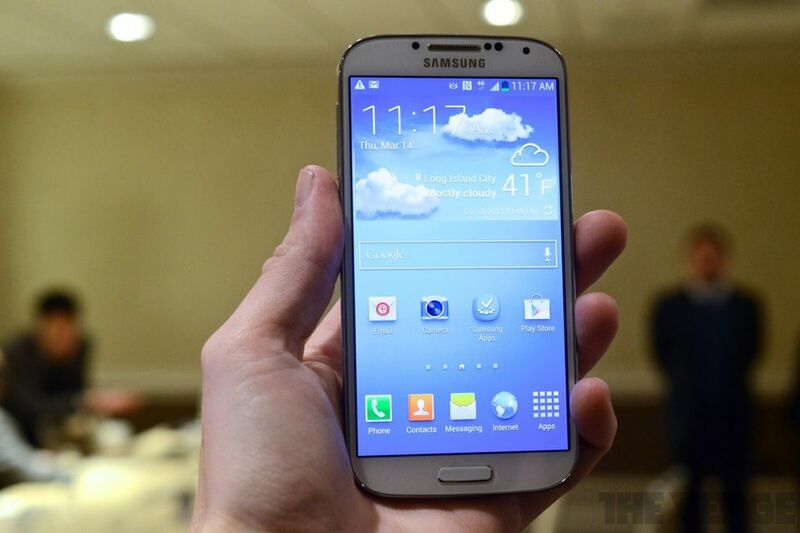 The GS4 looks a lot like the Galaxy S III or the Galaxy Note 8. A lot. The phone’s nearly the same size as its predecessor, despite having a larger 5-inch, 1080p Super AMOLED screen that is the first of its kind in a smartphone. 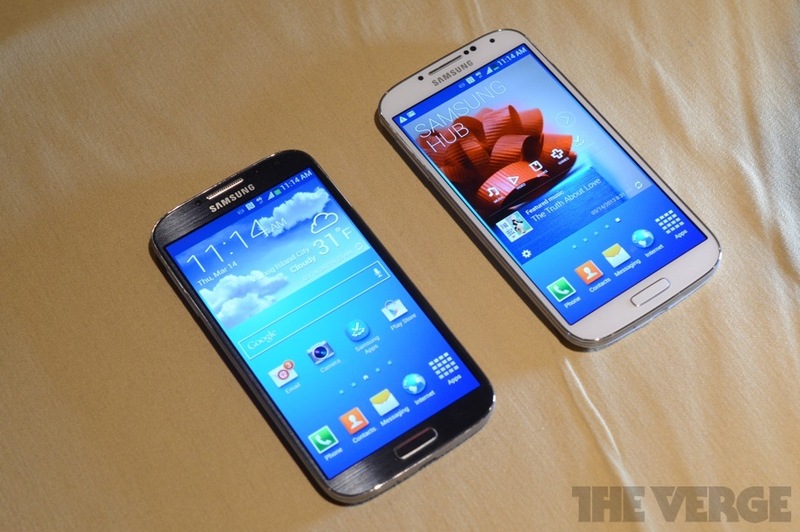 The GS4 is taller but thinner (just 7.9mm) than the GSIII, and is lighter as well. Samsung’s basic design ID hasn’t changed, which is unfortunate: the GS4 is plasticky and feels much cheaper than a device like the HTC One, though Samsung at least squared the edges slightly and added just enough texture that it doesn’t feel slick or slimy like the GS3 does. But from the colors – “white frost” and “black mist,” or just white and black if you’re a human — to the ports and buttons to the way it feels in your hand, Samsung hasn’t changed the way it thinks a phone should look. Samsung’s consistently on the bleeding edge of smartphone horsepower, and that continues here: the Galaxy S4 is built to fly. It’ll be sold with either a Samsung Exynos 5 or Qualcomm Snapdragon S4 Pro processor (Update: Qualcomm let us know that contrary to what we'd heard, it's an even more powerful Snapdragon 600 chip), depending on region, and every model will come with 2GB of RAM, a big 2,600mAh battery, and 16, 32, or 64GB of storage (plus a microSD slot if you want to add more). The 5-inch display is the belle of the ball, of course, and it looks great — we don’t love the PenTile subpixel arrangement, but on such a high-res display it didn’t seem to cause any problems. Viewing angles are great, colors pop on the Super AMOLED display, and the bezels on the device have been slimmed to the point where the screen feels even larger and more immersive. These are mostly small improvements, though, and in some ways the Galaxy S4 feels like an upgrade designed less for people who own the previous generation and more for those looking for a first smartphone, or upgrading from a two-year-old device. 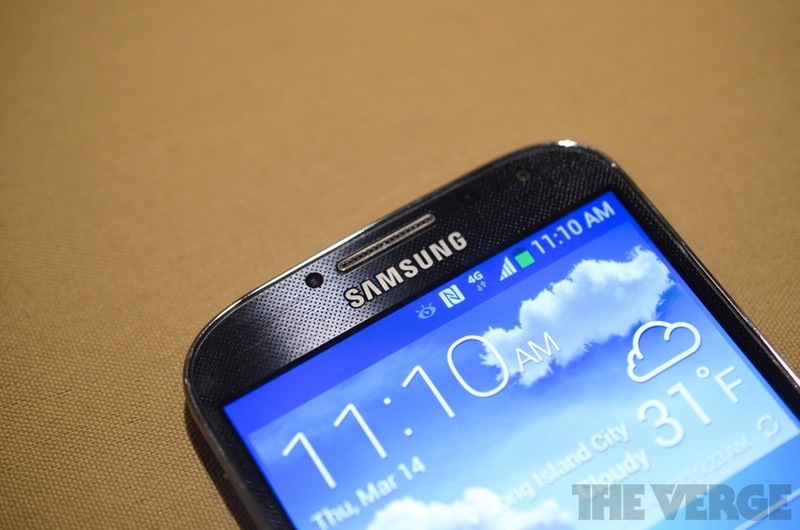 (Call it the Galaxy S IIIS.) One aspect did get a significant upgrade, though: the GS4’s new 13-megapixel rear-facing camera comes with both upgraded hardware and some new software flourishes. For starters, Samsung adopted some of the menus and options from the Galaxy Camera, like the on-screen mode dial and a few of the scene modes. The Eraser mode is one of our favorites: it takes a series of quick pictures, then automatically detects motion in the background and lets you seamlessly remove it. Goodbye, photo bombers. In classic Samsung form, there are countless different ways to take a picture. DualShot lets you take a picture with both front and rear cameras at once, using pre-made templates that embed one within the other. Drama Shot takes a burst of shots and overlaps them — Samsung’s demo showed a guy jumping off a rock, and it had automatically layered every stage of his jump into one shot. Cinema Photo is probably the most fun, allowing you to take a series of shots, and pick one part of the photo to move while the others stay still; it’s basically Cinemagram for your GS4, and lets you make goofy GIFs in the time it takes to shoot five photos. The camera is fast and usable even while doing such complex things — it’s clear there’s processing power to spare on the GS4. 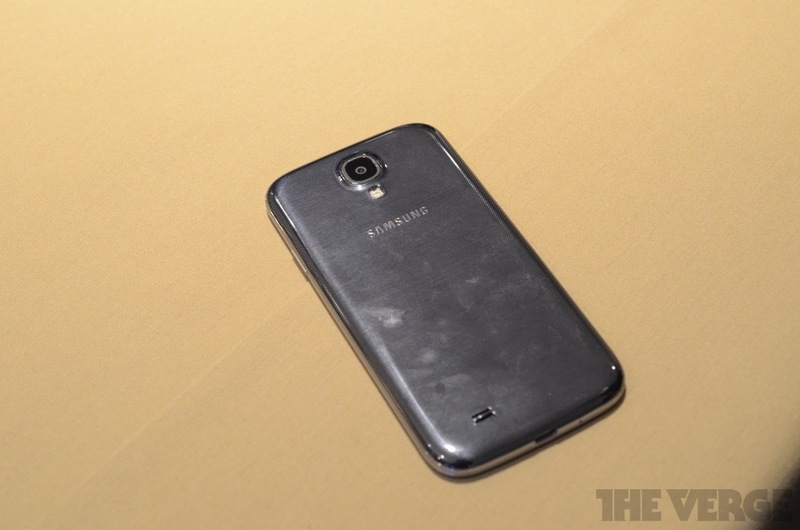 The Galaxy S4 runs Android 4.2.2, for now the most current version of Google’s operating system, but Samsung spent most of its time touting what it's added on top of the OS. These features vary wildly, from the simple utility — S Translator, which translates messages and emails to and from any language — to what amounts to a complete re-imagining of how we use a smartphone. "Air Gestures" let you scroll through pictures or scroll a webpage by literally swiping with your hand, without touching the screen — you just sweep from left to right over top of the phone, and it responds. It looks ridiculous, but it works. "Air View" gives your finger the power to hover over an email or date and see the information hidden behind, which previously only the Note and S Pen combination could handle. Those both work surprisingly well, though they’re certainly as much gimmick as game-changer. From our limited testing, "Smart Pause" and "Smart Scroll" skew more toward gimmick — they’re supposed to detect your eyes, and either pause your movie when you look away or scroll when you reach the bottom of a page, but neither worked much at all in our time with the GS4. The most ambitious of Samsung’s new features is S Health, which Samsung has made vastly more powerful — it now amounts to Samsung putting a Fitbit or Jawbone Up into your phone. The GS4 has a pedometer built in, plus temperature and humidity sensors, which can automatically detect your surroundings and your exercise levels. You can input how much you eat and sleep, too, and get all the data you’d expect from an external device right on your phone. There’s even a companion wristband, the S Band, that syncs via Bluetooth to your phone for those moments you’re walking around without your phone in your pocket. Somehow packed into the small phone along with all those sensors is an IR blaster, which pairs with Samsung's WatchOn app to serve as a combination universal remote and visual TV Guide — just point your phone at your TV. It's the same Peel-based system we've seen on a handful of Samsung tablets, and it makes perfect sense on a phone as well. Samsung loves to talk about how its devices work together, and the newest feature for GS4 owners is Group Play — it lets you cue up a song or a picture, and quickly share it in sync with any other GS4 owner nearby. You can even use it to play local multiplayer games, so long as the app supports it; Asphalt 7 and Gun Bros 2 are the two launch partners, but other games should support the feature soon. NFC remains the key connection point, and unless all your friends buy GS4’s we’re betting Group Play is a better demo than it is a practical feature. 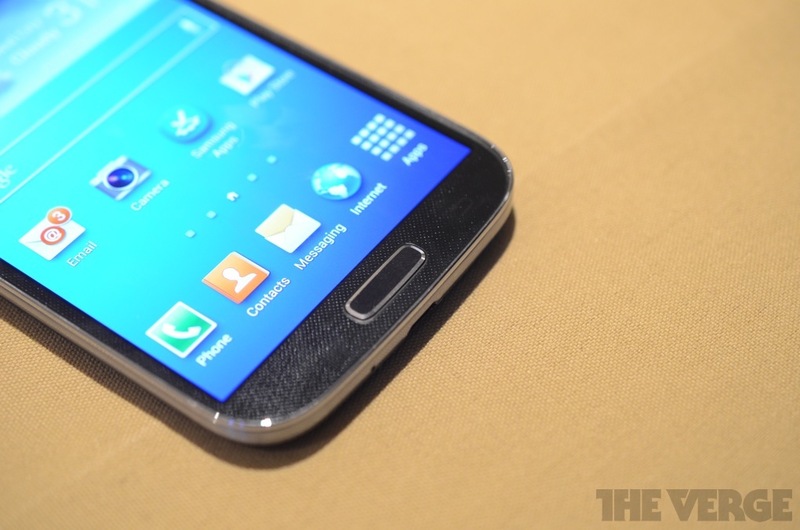 Befitting its global spectacle of a launch event, the Galaxy S4 is going to be available around the world, and Samsung’s continuing the scorched-earth strategy that worked so well with the GSIII. 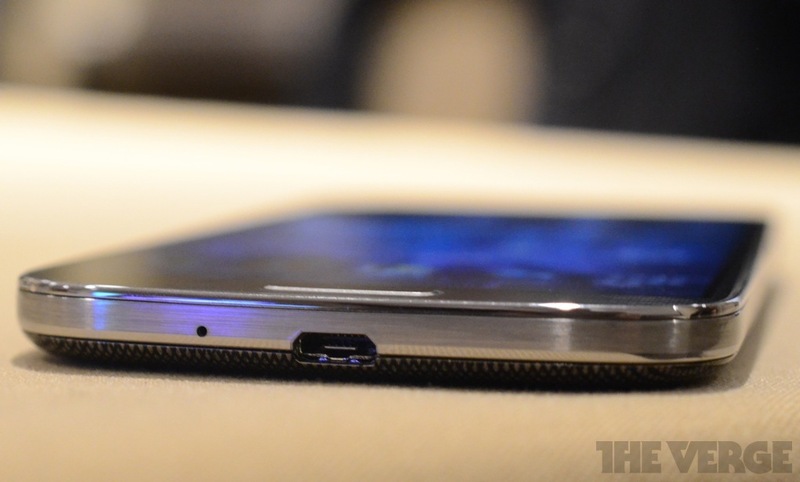 The device will be available on all four major US carriers, plus Cricket and US Cellular. It’ll be out in the second quarter of this year, and Samsung wouldn’t comment on price except to say it will have a "premium Samsung smartphone price." At first blush, the Galaxy S4 doesn’t feel revolutionary, but given the continued success of its predecessor maybe a revolution wasn’t called for. It’s a faster phone with a better screen, a better camera, and some cool new software features, and for the company that’s nearly synonymous with the word "Android," that may be enough to ensure another huge success.